The beds were extremely hard. Could not get a goodnight sleep. The room was very spacious. Where to find Geoje hotels near an airport? 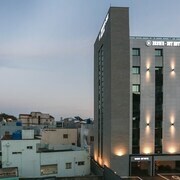 How can I find hotels in different Geoje neighborhoods? Where can I find hotels in Geoje that are near tourist attractions? 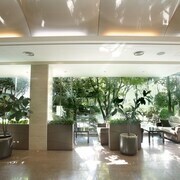 Travelers in Changwon who are after accommodations in Geoje have plenty of choices. 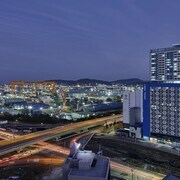 Geoje offers approximately 16 hotels and apartments within a 0.1-kilometre (0.06-mile) distance of the downtown area. 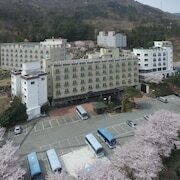 One of only a handful of Geoje hotels close to the center of Geoje, is the Geoje Tourist Hotel. 6 kilometres (4 miles) away from the main part of Geoje, is the Daemyung Resort Geoje. 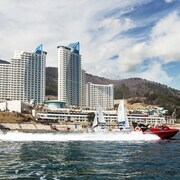 Alternatively, the Kumho Tongyeong Marina Resort is located 19 kilometres (12 miles) away. 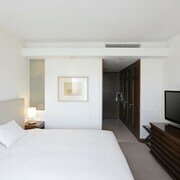 Two other Expedia-listed accommodations include the Rosehill Pension and the Dongwon Royal Country Club & Resort. Why don't you broaden your horizons and explore the many other attractions around South Gyeongsang while you are in the region? South Gyeongsang has coastal plains and forests, and common South Gyeongsang tourist sights include ruins. Common pastimes in this part of South Korea include mountain climbing. If sport is what you love, head to Busan Asiad Main Stadium, which is 50 kilometres (33 miles) to the northeast of Geoje. 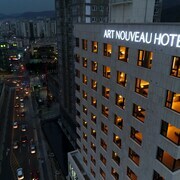 Book accommodation right near the action at the Lotte Hotel Busan or the Hotel Nongshim. 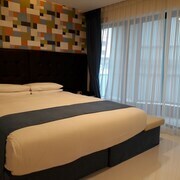 If you are flying into or out of Gimhae Airport and would like to stay nearby try Hotel Paragon or Max Motel. 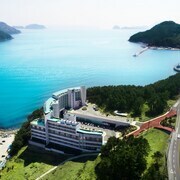 What are the most popular Geoje hotels? Are there hotels in other cities near Geoje? 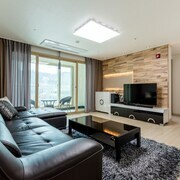 What other types of accommodations are available in Geoje? Explore Geoje with Expedia.ca’s Travel Guides to find the best flights, cars, holiday packages and more!